Celebrated artist Mary Pratt has died at the age of 83, her children said in a statement on Wednesday. “With deep sadness, we wish to advise you of the passing of our mother, Mary Pratt, on Tuesday, August 14th,” the statement said. “She died peacefully at her home in St. John’s Newfoundland surrounded by her family. “Loved and celebrated for her artistic genius and community service, Mary Pratt was our mother, our friend, sometimes mentor and counselor, and a loving grandmother, Nana, to our children and grandchildren. “Our mother was generous with all things, and to everyone. Whether it was her time, her enthusiasm, her talent, or a bundle of cash, she always gave more than was asked or expected to us, her friends, other artists and complete strangers. Her famous smile and infectious laugh were part of every conversation. She had a rich and intelligent sense of humour that lifted everyone around her and lasted throughout her entire lifetime. “She arrived in Newfoundland in 1957, a Fredericton girl from a Wesleyan Methodist background, newly married to our father, Christopher Pratt. 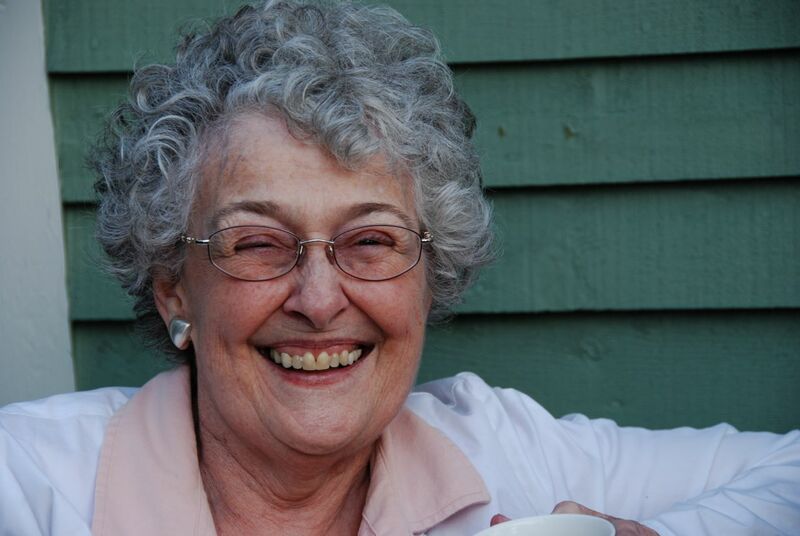 Although she remained in Newfoundland for the balance of her life, her connection to the St. John River, the wise, plain-spoken words of her father, and the infectious warmth and grace of her mother were with her always. She loved and supported her Alma Mater, Mount Allison University, where she studied fine arts and where she first met our father. “We were fortunate to grow up in the domestic world that informed our mother’s artistic life. We sat at her supper table, we filleted and ate the rich Atlantic salmon that our father caught from the river outside our door, savoured the warm brown loaves of bread, and lusted after the swirling cream topped trifles. When we were no longer sharing her home, we understood her life through her work. “There was never a time when she was not a painter. Before she had a studio, her easel and paints would be set up where there was room. She was skilled at talking and painting at the same time as we sat at her shoulder, looking for help with the barrage of concerns that fill the lives of growing families. She’d talk while the brush left the canvas, was cleaned, wiped on paper towel then loaded up with paint. When the brush went back to the canvas it was your turn to talk. You could say things when she was painting that you couldn’t when she wasn’t. “Our mother’s life was not one without sadness. In the mid-seventies, she suffered the devastating loss of twins at birth. She shared the happiness and pain of the lives around her, including those of her children. Her intense and complex marriage to our father ultimately came to an end. But in all things she was resilient. When she was in her seventies, she was married for a time to James Rosen, an American painter and educator, and during their time together she traveled with Jim to see first-hand the marvels of Italian Renaissance art. More recently, she and our father renewed their deep friendship, sharing their memories, laughing at old jokes and talking, as always, about art. “Of her many awards, achievements, and honours she was particularly proud to have been made a Companion of the Order of Canada, and of her role in establishing The Rooms. “Her art reflected the world around her. She was renowned as a master of light and colour. She painted what she saw, as she so often explained, and what she saw were not mere surfaces, but images with meaning that ran fathoms deep. As with her images, there was much beneath the surface that we knew and treasured. We will miss her every day.